Think of great "driver's cars" and images of the legendary V-8 Mustangs naturally comes to mind. 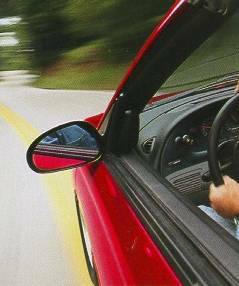 This powerful tradition is carried on proudly in the 1996 Mustang GT. 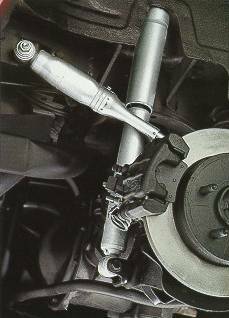 Under the hood is a newly aviable 4.6-liter SEFI V-8, with a single overhead cam design wich contributes to increased horsepower per liter. 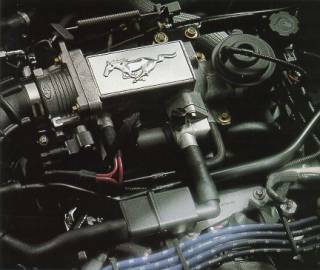 The 4.6-liter V-8 is one of the most advanced engines in it class. Riding on low-profile 16"P225/55ZR performance tires and equipped with sport-tuned handling components including the "quadra-shock" rear suspension, Mustang GT has handling capability to match the power of its muscular 4.6-liter SEFi V-8. All Mustangs come with a tilt steerng wheel. 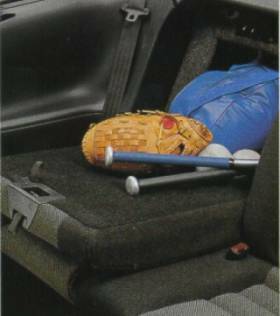 Fold down either one or both of the rear seat backs if you're carrying long items. 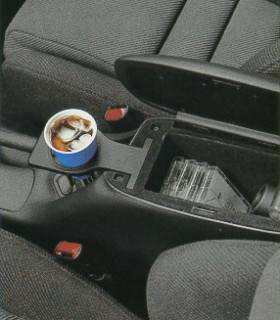 (coupe only) The full center floor consloe includes an armrest, storage bin, cupholder, plus cd and cassette tape storage. Mustang's instrument cluster features the clarity of analog gauges: tachometer, voltmeter, engine temperature, fuel and oil pressure. 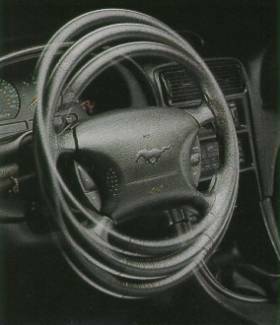 Mustang's ergonomic instrumentation and seating are designed for driving in the '90s. Dual airbags are standard on all models. 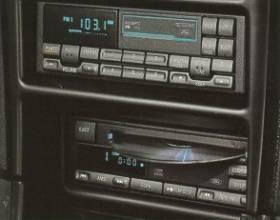 You can also choose between some sounds systems; AM/FM radio/stereo cassette player that is standard in all models, or add a cd player, or choose the mini disc player. And new and improved outside mirror. Makes the Mustang GT one of the best cars today!